If the original story of The Little Mermaid could be described with a single word, that word would be suffering. Hans Christian Andersen’s tale is actually a sort of retelling of his own life, especially his feeling out of place in higher society (the world above) and his unrequited love for a friend (a man who viewed Hans Christian as little more than a brotherly acquaintance, much as the prince views the mermaid in the story). While many focus on the doomed romance as the story’s theme, I see a larger theme of pining, not only for love, but for acceptance; for a sense of belonging. Hans Christian not only suffered in love, but from social ostracizing as well, and often felt an outsider in the very world he wished most to be a part of. 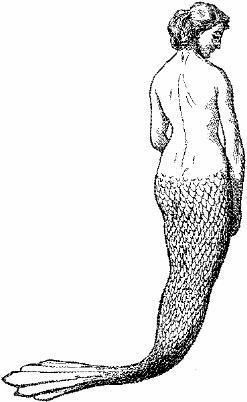 Like him, the mermaid’s greatest grief is in never truly belonging to the human world she so admires. Notice that the story doesn’t begin with her meeting the prince; it begins with her begging stories of the upper world from her grandmother, and pining for her own coming of age when she, too, can explore the land above. Though the prince was her truest love, her love for his world came first. I have come to fully understand The Little Mermaid only after reading Hans Christian’s biography. He was deeply sensitive and almost naive in his esteem of others, while a lack of confidence kept much of his fierce feelings hidden until he found a way to symbolize them in his writing. This is what made Hans Christian the tortured man, and superb storyteller, that he was. I suspect many writers develop their skills alongside a deep and lonely dissatisfaction with life. 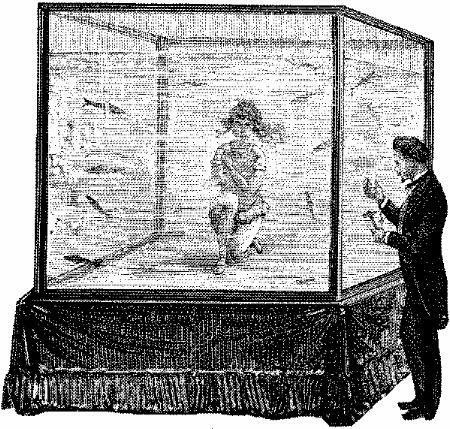 If you’ve read anything about his life, you’ve seen that Hans Christian surely did, and with that insight, we begin to see the soul of the man who hides behind the fantastical image of the suffering mermaid. 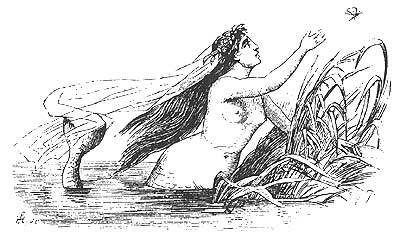 The mermaid, in fact, is the most human character in the fairy tale because of her suffering. While suffering can be mental or physical, it’s often both, and indeed the little mermaid endures both forms. The parallel worlds that bring both mental and physical suffering into play are illness and grief. Though grief is primarily mental, the body does suffer very real, and very physical repercussions. Likewise, in long-term illness, there is usually some degradation of mental function, often manifesting as depression. I recently finished Joan Didion’s The Year of Magical Thinking and found myself surprised by a profound understanding of her grief. Except that I, myself, am not grieving, nor can I fully comprehend the very personal closeness she once shared with her deceased husband. But the details of the experience didn’t matter. She described well the universal “raw” feeling in her aloneness, her failing ability to perform socially, and her backwards thinking due to a habit-driven existence that refused to acknowledge such loss. These were things I knew well; not due to grief, but to its close relative–chronic illness. Didion’s personal account reminded me that mermaids are always among us, taking the form of humans, when privately, they feel anything but. Those who suffer live an aquatic existence–a constant internal drowning that few others can sense or see. The current shape of my own suffering is in the form of Primary Hyperparathyroidism. It’s my own chest-full of ocean. But it isn’t mine alone. It’s estimated that around 80,000 – 100,000 people develop this disease in the U.S. each year, which is only 0.1 – 0.3 percent of the U.S. population. It is therefore considered an uncommon diagnosis. * In fact, it is so little understood by so many doctors that most are still using out-dated and incorrect medical literature to diagnose the disorder, and most people don’t even know that such a thing as a parathyroid gland exists in their body (in fact, most people have four of them). Heck, spell check doesn’t even recognize the word hyperparathyroidism in this post! Yet 100,000 people are suffering with its effects in this country on a daily basis, each year. All of them potentially experiencing extreme fatigue, heart palpitations, kidney stones, bone pain and eventual osteoporosis, depression, anxiety, memory loss, inability to concentrate, recurrent headaches, loss of control over emotions and tempers, insomnia, acid reflux and chronic constipation, thinning hair, and an all around loss of energy and interest in life itself. That’s a lot of suffering. That’s a lot of mermaids. I first made the connection between hyperparathyroidism and the suffering of The Little Mermaid years ago, when the pain in my legs was so intolerable, just shuffling from one room to another often felt like agony. “Every step she took was… as if treading upon the points of needles or sharp knives.” My pain wasn’t sharp, but was more a gnawing, deep ache that got worse as the day wore on. Still, it reminded me of the fairy tale. Back then, I had no idea what this pain was, nor that I had four little parathyroid glands in my neck, one at least of which was producing a benign tumor that caused it to go haywire, sending out far more of the parathyroid hormone than my body required. That excess parathyroid hormone did its only job–it increased my blood calcium levels by stripping calcium from my bones. Two common areas where bone pain from calcium loss is felt are in the legs and arms, hence my leg pain. The little mermaid willingly suffers her pain in order to gain access to the human world and the man she loves. She says, “He is certainly sailing above, he on whom my wishes depend, and in whose hands I should like to place the happiness of my life. I will venture all for him, and to win an immortal soul…” She depends on the prince for her happiness and salvation; he, a mere human, with his own interests and affairs, is blindly unaware of her suffering, and quite frankly, doesn’t seem to care for her except as some entertaining little pet. When I read this in the fairy tale recently, I was sickeningly reminded of the dependence patients have on their doctors; mere humans (though undoubtedly well educated) with little personal interest in our private suffering. They do what they can, of course, but when a patient has such general “moans and groans” as they call them, they often end up dismissing the patient as depressive and weak, or, if we should persistently haunt them, as potential hypochondriacs. They might find an elevated blood calcium level, but this they dismiss as well. Nothing in their renowned literature allows them to believe that a small elevation in blood calcium could cause all the symptoms we complain about. They are scientists, after all, and science has no place for the mermaid. And yet, even a slightly elevated blood calcium level is at least twice as dangerous as high cholesterol. I’ve had heart palpitations for years, but recently the heavy, achy feeling in my chest has become a 24/7 experience, sometimes radiating to shoulder pain and causing extreme dizziness with a feeling like I can’t get my breath. These are some of the warning signs of a heart attack! In fact, I just discovered a story about a woman who almost died from heart complications due to primary hyperparathyroidism. An Oxford Journal article tells us that “Malignant disorders and cardiovascular diseases such as myocardial infarction, stroke and heart failure seem to be excessively prevalent causes of death among pHPT (primary hyperparathyroid)-patients.” But remember, we patients (all 100,000 of us*) are considered rare, and doctors aren’t looking for anything so fishy. I wish primary hyperparathyroidism, and indeed all forms of serious illnesses, could be as well known as Hans Christian Andersen’s fairy tales. Because while those 100,000 people a year try to force themselves through their daily routines, not knowing why they can no longer keep up or function the way others can, doctors are giving them half smiles and pats on the shoulder instead of the correct blood tests and the real medical advice they need to save their lives. 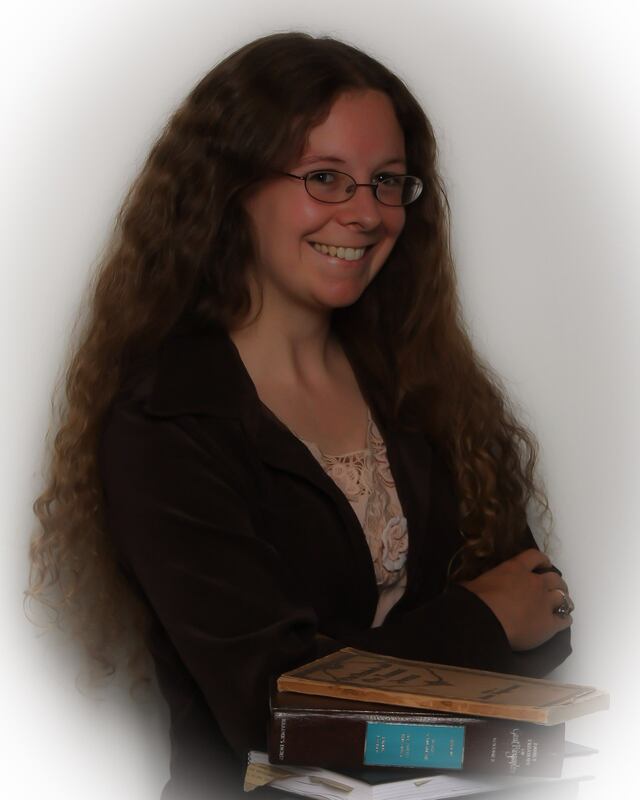 Which is why I’m writing this post–so others can help educate themselves. And because it’s about all I can write anymore, thanks to Alzheimer’s-like symptoms and round the clock extreme fatigue. To work on one of my stories, right now, could well be to murder it. Like the Little Mermaid, I stand with the dagger poised in my fist, indecisive; unsure of my motives, of what truth I am after, and, most importantly, if I can even succeed at it. My mind betrays me. My memory is wounded. My focus– the very love of my work, and of life itself– is all but lost. My eyes have drifted seaward, back to that fathomless foam from which I came, and the blade clatters to my feet. And then I think how to love is to give. I must give up my lover, all those worlds within my head, all those interrupted second lives, and, for a while, dwell in the world that claims me. But unlike the hopeless mermaid, I am not ready to abandon ship. It took years of fighting nonchalant doctors and research on my own to finally understand what it was that plagued me, and what I have to do to recover what health I can. I am one of the lucky ones– those rare patients who are able to secure a diagnosis and find some of the handful of doctors in the world that are knowledgeable about this disorder, and what it takes to cure it. I am now a patient of the Norman Parathyroid Center in Tampa, FL, and will be having a surgery to remove my tumor(s) and resume my life at the end of this month. I had to fight for many years to get this far, and in connecting with other primary parathyroid patients, I’ve found my story is all too common among them. My hope is that the mermaids who are still floundering, still finding themselves mute before the doctors they have put their hope in, will educate themselves about this condition, and find the treatment they deserve. Fairy tale addict that I am, you won’t find me giving up on my happily ever afters, both in my life and in my writing. And if you happen to be one of the many affected by primary hyperparathyroidism, I hope you won’t either. *Dr. Norman from the Norman Parathyroid Clinic informed me that this condition is actually quite common, especially in women over 50. In his words, “It is only rare because doctors are ignorant of its existence.” This surgery map shows just how widespread this condition really is, and this is only for the patients treated by the Norman Parathyroid Center. The map doesn’t include all those whose calcium levels are still being “monitored” and have not been diagnosed, or those who are being treated by other surgeons. Therefore, the 100,000 U.S. patients a year number is probably far too low. Ahh, Kristina! So well articulated…. Jim Norman’s surgery cured me a year ago, but it was my self diagnosis that led to that surgery. What a sea-change! Jim is fond of saying, “the sky will be bluer”…I don’t doubt you will experience that epiphany, too. Those of us lucky enough to have been through the Norman experience are renowned for our passion to share that experience, and to help promote awareness of this awful and woefully under-diagnosed disease. I look forward to reading of your recovery… for me it was instantaneous!! My intractable insomnia was gone that same night,the indefinable brain fog lifted before I even boarded my flight home. I am once again an energetic guy, and find my old brain to be not-so-old after all. Simply put, I am feeling and functioning better than I have for many many years. Send my best to Jim Norman and all the incredible staff at the Tampa Center….I wish you well on your “journey to wellville”. Thank you, David, and I’m so glad you had such immediate, wonderful results! I can’t wait to experience them myself! Thank you for sharing this account. And may we embrace, celebrate and continue to spread the word regarding all the highly experienced American Association of Endocrine Surgeons throughout the varying respective countries. I have parathyroid adenoma as well as thyroid nodules and I can relate to your article in a very personal way. I’m also chronically anemic ( monthly infusions) and my symptoms were so off the wall that they didn’t seem related. I’m having all the abnormal bits removed 5-7-14 and I hope I start to feel part of my world again. I’ve been up for a few hours, so it’s time for a nap lol. Good luck and I wish you the best. Best of luck to you, Tessa! Find an experienced surgeon and you’ll do great! I hope this solves many health problems for you, including the anemia (which is no fun, I’ve been there, too)! Many doctors don’t believe that only a small elevation in blood calcium levels can really make your life a living hell, unless they’ve experienced it themselves. I recommend reading over this website http://parathyroid.com/ if you haven’t already, which includes a list of recognized symptoms. I have experienced all of these except the high blood pressure and high liver function. If you have many of these symptoms and your blood calcium levels are high, find yourself an expert parathyroid surgeon and get your life back! Best of luck to you! This image from http://parathyroid.com/parathyroid-symptoms-cartoon.htm is both amusing and revealing! If your MD doubts your reporting of the “vague neurocognitive” symptoms and dismisses you as a hypochondriac I have two suggestions.